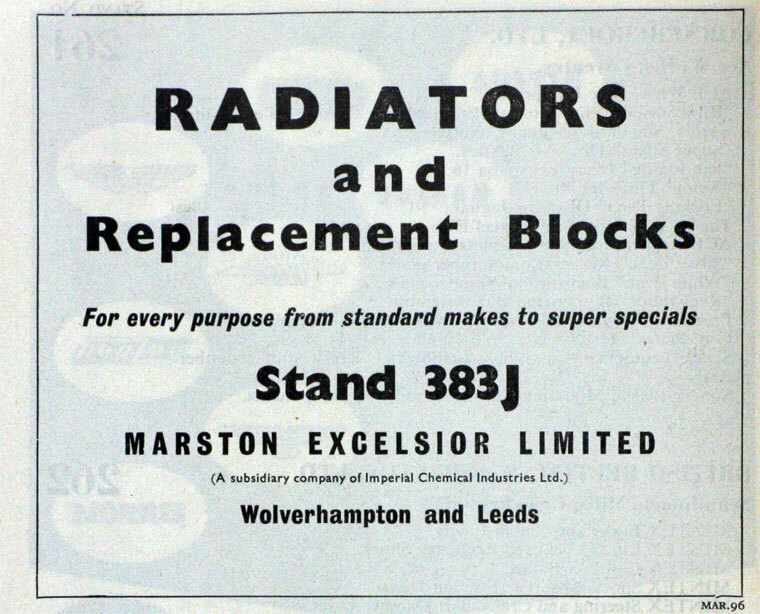 1919 Excelsior Motor Radiator Co of Leeds was incorporated. 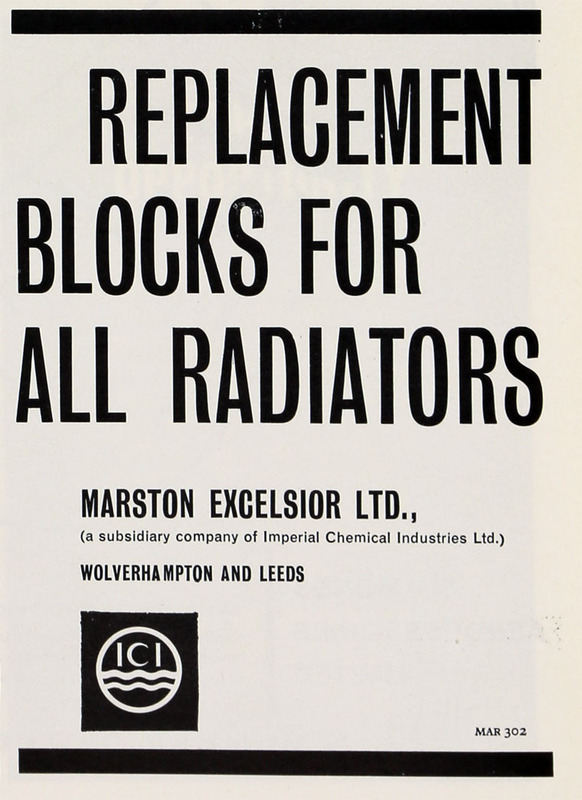 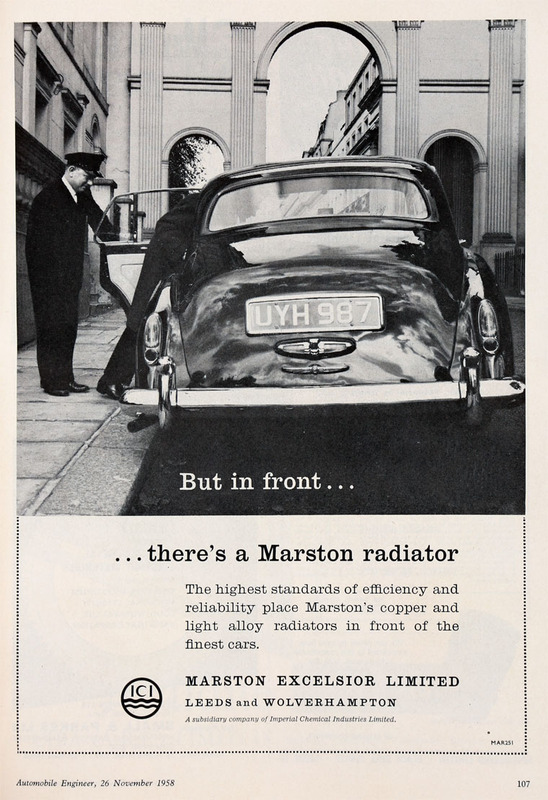 1943 The radiator business of John Marston Ltd, part of ICI Metals Division, was merged with another ICI subsidiary Excelsior Motor Radiator Co Ltd. of Leeds to become Marston Excelsior. 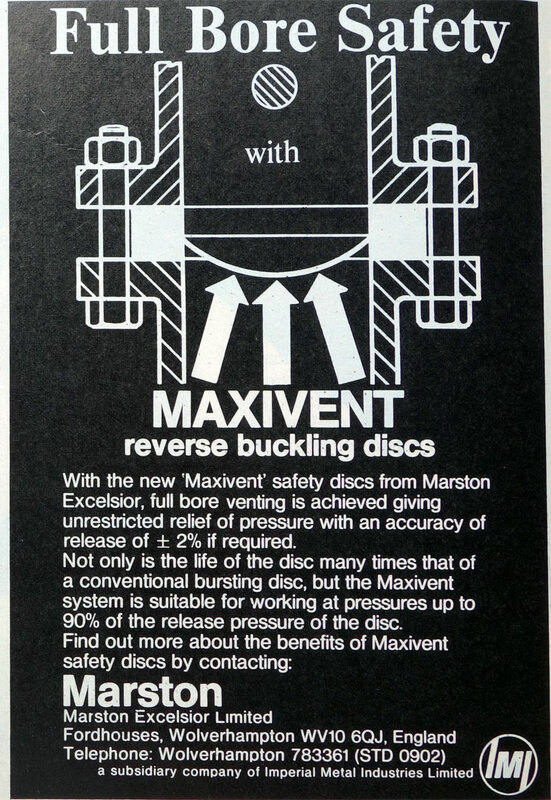 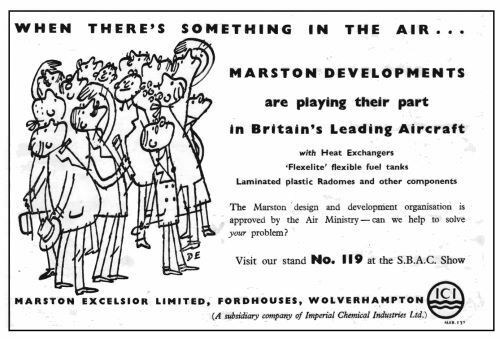 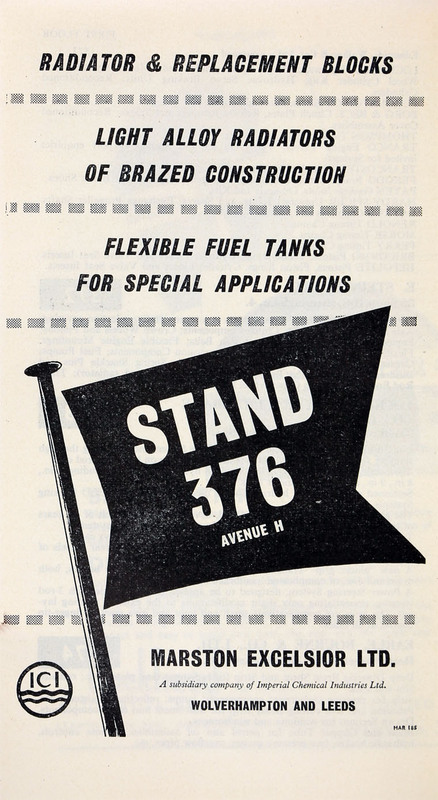 WWII Marston Excelsior made metal fuel tanks for Wellington Bombers and other aircraft; pioneered development of flexible non-metallic fuel tanks, and self-sealing covers through collaboration between ICI experts in dyestuffs, leathercloth, metals, paint and plastics. 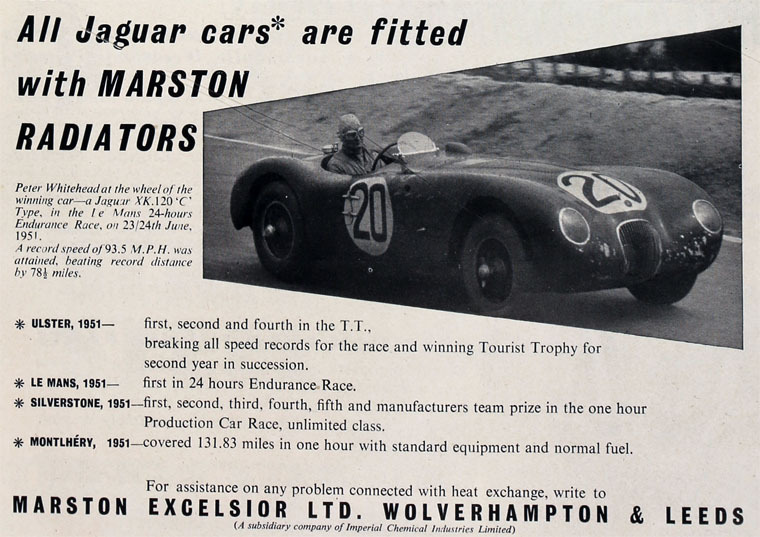 1961 Designers, fabricators and sheet metal workers in aluminium and cuprous alloys, uranium, zirconium, tantalum, reinforced plastics and synthetic rubbers. 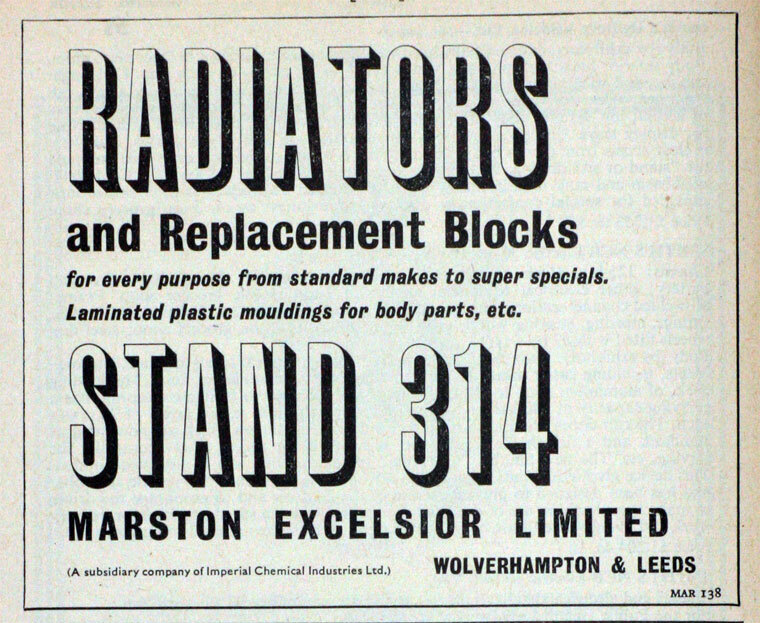 Heat transfer specialists. 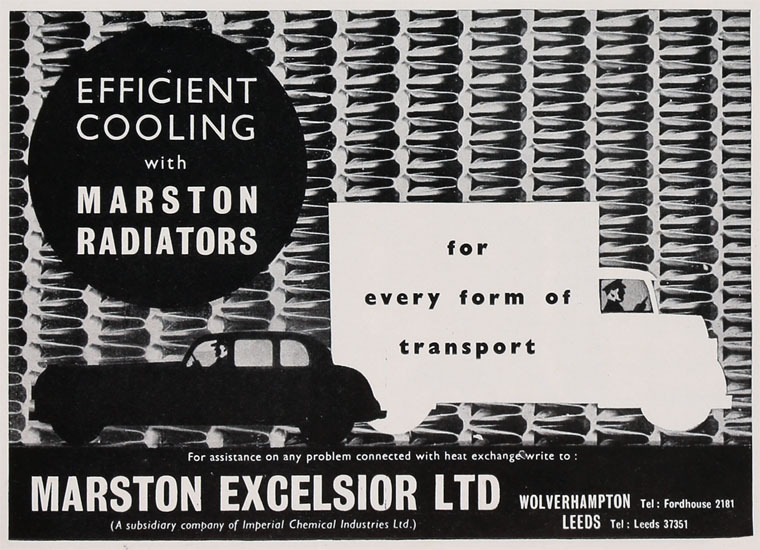 Products include heat exchangers, pressure vessels, pipework, bursting discs, special purpose machines, industrial fans, flexible tanks for aircraft and bulk storage and transport of liquids. 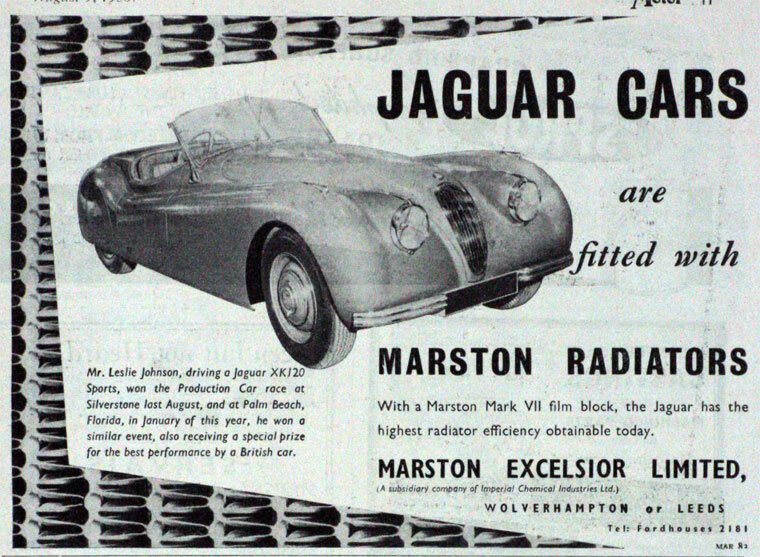 This page was last edited on 9 June 2017, at 10:34.